A stunning example of the beauty and simplicity of silver and cut glass. 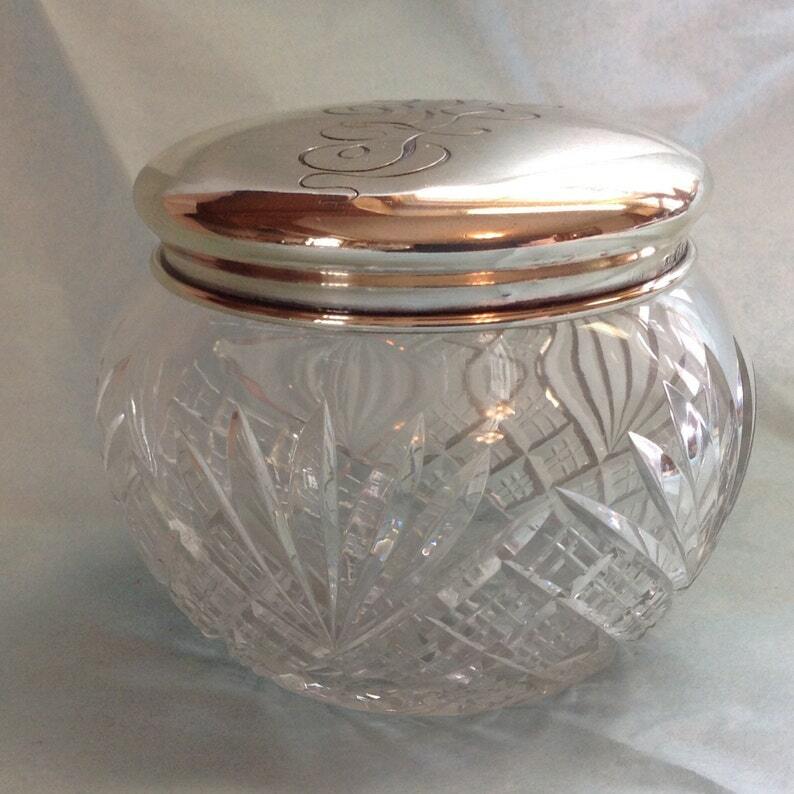 This sterling powder / dresser jar measures 3 3/4" in diameter and 2 7/8" high. Hallmarked on the lid rim: R Wallace & Sons - this mark was used from 1871 through 1956. Based on my research, I would date this piece c1900. The lid is artfully hand-engraved with the monogram "LMM" in a lovely, feminine stylized ribbon font. The lid fits tightly and is in excellent condition with just a few minute and shallow dents. The cut glass jar is a beauty in its own right - clear and free of chips or repairs. There are a few minor scattered nicks to the fan cuts in a few places around the jar. Wear on the jar bottom is representative of age and use.